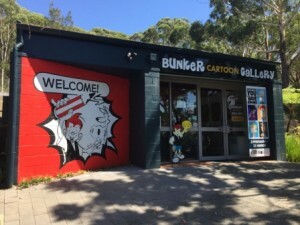 The Bunker Cartoon Gallery is Australia’s only dedicated cartoon gallery exhibiting the largest private collection of contemporary cartoons in the Southern Hemisphere. The Gallery is housed in an authentic underground WWII bunker that has been converted to a funky exhibition space. That metamorphosis, from a bunker to a gallery, is largely thanks to the our Rotary Club and in particular, two drivers of the project, Tom Hamilton-Foster and the late John Champion. Their work in acquiring sponsorships and local business funding enabled the restoration of the building to proceed. 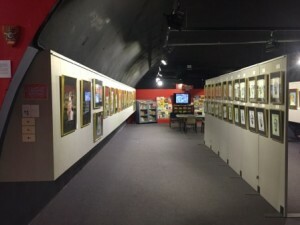 Their caricatures are proudly displayed in the Gallery’s foyer. Today, the Bunker is custodian of the Coffs Cartoon Collection, with well over 23,000 cartoons from leading Australian and international cartoonists including private donations and bequeaths of rare works. Its role, although different to its wartime past, is still one of communicator and protector of Australia’s history, albeit in satirical form. 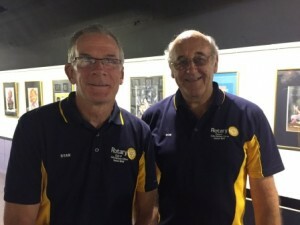 These days, the gallery is run by the independent, not-for-profit Bunker Cartoon Gallery Inc, but Coffs City Rotary remains an ardent supporter of the gallery and all it’s events. You can visit the Gallery’s website here.